In his life journey is a highly creative businessman and a great teacher. In 1990, at age 18, during his 1st year in College in De La Salle University, he started his events management career founding Concepts Plus but the industry wasn’t really ready yet for below the line events marketing. Three years later, he lost money and was down to his last P30,000 pesos. He decide to shift career and manage a band called “Orient Pearl”. He composed the song “We can make it” which was later translated to Filipino called “Pagsubok” and propelled it to triple platinum status. For years, he enjoyed the rock and roll life and toured around the Philippines. In 1996, he got invited once again by school mates into forming his 2nd events company – WishCraft, Inc. In year 2000, he diversified and put up other companies… Stage Monster (which is now Set check), ProCast (casting), Post Ad (street merchandising) and Pixel Eyes Media. He also took up Masteral in Marketing in DLSU and enrolled in his 2nd course – Production Design. It was there when he re-discovered my passion for taking pictures. He decided to go full time in photography in 2003 shooting just about everything from advertising, to fashion, to events. Despite the discouragements of his partners, he sold all his shares in his companies to fund for new gear and studio. A few months later, he found my calling in weddings and decided to concentrate on this field. From doing 17 weddings on his first year, this increased to 79 on the next and 105 on the 3rd. It was then after this year that he decided to form Imagine Nation, a team of Professional photographers who commit to carry on the same attitude towards wedding & quality of pictures. After several months of operation, He discovered God’s purpose for leading him into this career. The company does a 180 degrees turn around and we focused on having Jesus as the main CEO and audience of the company. Blessing then poured since then. Imagine Nation now averages 400+ weddings yearly and houses over 15 professional photographers. Now, he is a certified PADI Master Scuba Diver Trainer with specializations in Wreck, Deep, Nitrox, digital underwater photography and videography and a Master Trainer for Lead Like Jesus. Post Ad on the other hand has grown into a full marketing communications company. Monique would be described by many as “full of life”. She is energetic and a positive multi-tasker. She is one person that can thrive in highly stressful situations and still manages to smile. Her life purpose is to glorify God by serving Him through her family and empowering other women in different stages in their life. 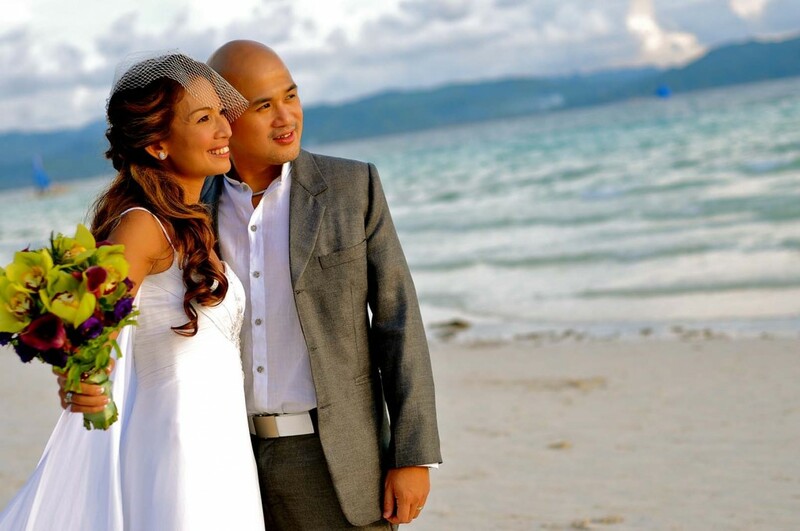 As a wife, she is the life partner of John in everything including their businesses Post Ad Ventures Inc an events agency, Imagine Nation Photography Inc – a wedding photography and Life studio and Wang Videography a video outfit. As a Mom, she homeschools her 4 children and is a breastfeeding advocate. Monique does many things: She host events, directs shows, she speaks specific to women on Beauty, Enjoying Single Life, Purity, Deliverance, on Marriage, Breastfeeding and Parenting. She loves to talk, dance, travel, scuba dive, bake, do crazy adventures with her family. Jong and Monique has the biggest burden to bring as many people to Christ. They are most especially close to soon to be weds and young couples. It is their battle cry to say “serve Jesus wherever, whenever.” Jong and Monique are pro-family which is why they chose to homeschool their children. They believe the best investment is to invest in their children. Their parenting style is to get their children immersed in the word of God. They strengthen their children’s talents by honing them early/ They are preparing their children for the world by allowing them to participate in the work and ministry they are in.